Portes du Soleil pass The full Portes du Soleil pass offers amazing value with a 6 day pass costing €268 for adults, €202 euros for children aged 5-15 (under-5s go free) and €242 euros for teenagers aged 16-19/seniors 65+ in 2018-19. It gives you access to all 13 resorts (although we think you'd struggle to ski them all in a week! ), providing you with plenty of variety and the chance to escape the crowds, even at peak times. We would recommend this pass to the majority of our guests, especially those of intermediate level and above. Portes du Soleil pass price-list 2018-19 (adult/child 5-15/youth 16-19 and seniors over 65; includes cost of obligatory €3 hands-free pass) 1 day - €56 / €43/ €51 2 days - €104 / €79 / €94 3 days - €147 / €111 €133 4 days - €189 / €143 / €170 5 days - €227 / €171/ €205 6 days - €268/ €202 / €242 7 days - €302 / €227 / €272 Avoriaz pass For those who are joining us for a shorter break there is also the option of the Avoriaz pass which can be bought for a maximum for 2 days at a time (€47 for 1 day and €85 for 2 days for adults). All lift passes are electronic and hands-free, ensuring that even our youngest guests can access all lifts with ease. Please note that the above prices incude the charge of €3.00 pp for the hands-free pass. For a hassle-free holiday, we can book Portes du Soleil and Avoriaz passes in advance for you to save your queuing on your first morning - simply select them on your booking form and pay either beforehand/upon arrival in resort. To make your holiday as hassle-free as possible, we recommend using Doorstep Skis who offer great skis and a fantastic service! They will deliver to the chalet when you arrive and offer our clients 20-40% discount - a link to book your skis through them will be sent when your booking has been confirmed. There are a large number of excellent French and English owned companies in the area offering tuition for both skiers and boarders. It is not possible to outline all the many options here (particularly all the targeted workshops available) so please check out the websites listed below or contact us to discuss your specific requirements. Please note that all lessons should be booked with a meeting point of Avoriaz rather than Morzine as our nearest lift takes you up to this resort. Here is a brief guide to some of the companies that offer lessons in locations easily accessible from our chalets: Group lessons Ski and snowboard - Ecole de Ski Francais (ESF) Avoriaz offer group ski lessons for €148 (mornings - usually 09.15- 11.15) and €172 (afternoons usually 14.00-16.45). Half-day snowboard lessons cost €194. Please be aware that group sizes with ESF would usually be around 10 people per instructor and lesson times will vary across the season! Ski and snowboard - Ecole de Gliss (French owned and run) offer small group (4-8 people) ski and snowboard lessons for €190 (mornings - usually 09.00-11.30). 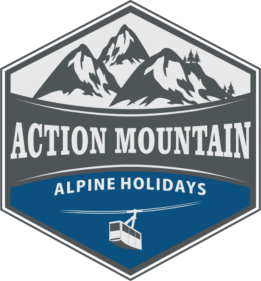 Ski and snowboard - Avoriaz Alpine Ski School (British owned and run) offer small group ski lessons in English (max 5 people) of 10 hours over 4 days (Mon-Thurs 09.15-11.45 ) for €290 (please note: lessons times vary during peak weeks). S ki only - Freedom 2 Ski (British owned and run) can provide 12 hours of group tuition over 3 days (max group size 7 adults) for £290. Snowboard only - Mint Snowboard offer 8 hours of group tuition over 4 days for €205 (max group size of 6). Private lessons ESF Avoriaz offer 2 hour private ski/board lessons for 1-2 people for €91-101 (varies across the season). Ecole de Glisse offer 2 hour private ski/board lessons from €95 (€104 in peak season) at the following times: 09.00- 11.00, 11.00-13.00, 13.30-15.30, 15.30-17.30. Lemon Orange Ski - offer 2 hour private ski lessons for 1-2 people for €160. Avoriaz Alpine Ski School - offer 2 hour private ski/board lessons for 1 person €160 (plus €15 per extra person). Freedom 2 Ski - offer 2 hour private ski lessons for £140 (plus £15 per extra person). Mint Snowboard - offer 2 hour private snowboarding lessons for €155 (plus €30 per extra person). There are many different options regarding ski lessons for kids and the right choice for you depends upon the age of your children, their previous experience, whether you wish them to undertake group or individual lessons and the type of holiday you wish to have. Please contact us so we can find the best solution for you, however here is a brief guide to some of the choices available: ESF Avoriaz offer children’s group ski lessons for €148 (mornings) and €172 (afternoons). Children’s half-day snowboard lessons cost €194. Please be aware that group sizes with ESF would usually be around 10 people per instructor and lesson times will vary across the season. Ecole de Glisse offer small group (4-8 children) ski and snowboard lessons for €195 (mornings - usually 09.00-11.30). Avoriaz Alpine Ski School (British owned and run) offer small group ski lessons in English for children over 6 years old (max 8 children per group) of 12.5 hours over 5 days - Mon-Fri 09.15-11.45 (or 14.15-16.45 for older more advanced skiers) - for €295-€310. For children under 6 years old, Avoriaz Alpine recommend 2 hour private lessons priced at €160 for 1 person. Freedom 2 Ski (British owned and run) offer 15 hours of group tuition (max group size 7 children) for £309 for children aged 5-18 years old. Mint Snowboard - offer a 8 hours of group lessons over 4 days for €205 for children over 7 during peak holiday times.